The widespread use of social media has lead to public shamings becoming a part of modern life. 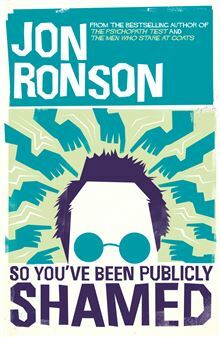 Jon Ronson’s book looks at several high profile public shamings of ordinary people who made a mistake at work or who made a joke that they shouldn’t have. Collective social media outrage then leads to events those changes their lives forever. This book says a lot about the power of the silent majority but questions what they are doing with this power. This is a book about modern life, spotlighting human flaws and the disturbing part that many of us play. This novel is the debut work of this brilliant author. 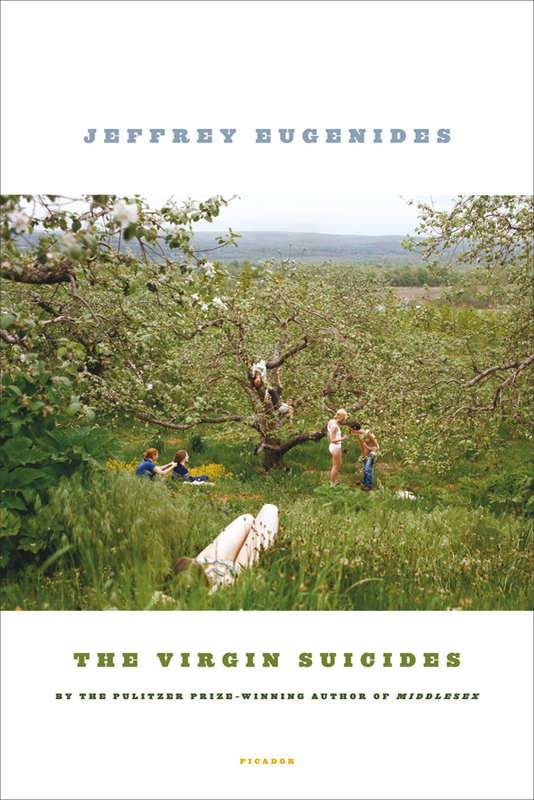 The story retrospectively telling the story of the five Lisbon sisters who all commit suicide within a year. Despite the dismal topic, this book is hard down.The novel is written in a unique style of first person plural, meaning it is written from the perspective of the boys of the era who were affected by the girls deaths; without it being clear who is actually speaking. The story unfolds slowly offering speculative glimpses of the girls lives and possible motivations for their actions. Although it was made into a film in 1999, it is the exquisite prose that was most appealing to me. Having read some great reviews on Jeffrey Eugenides second novel, Middlesex , this is the next book on my TBR list! This is a beautifully produced book. The photos evoke the setting of the story's telling and the style of the prose creates a mood in which Old Man is talking directly to you. Mark Lang worked over two years with Old Man Bill, recording his story and the story Bill needed to tell future generations, which his ancestors told him. It is poignant and powerful in it's telling of times past and speculation of the future without country being looked after. The inextricableness of connection to country is made obvious not just for indigenous peoples but everyone. One story. One world. A book not to be rushed but sampled and savoured. 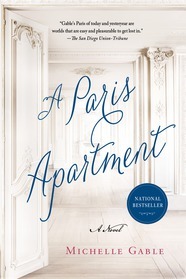 April is a Sotheby furniture specialist in a troubled marriage who runs to paris to escape and is thrilled to find in a dusty treasure filled apartment the letters and journals written by Marthe de Florian a famous courtesan of the Belle Epoque. In discovering Marthe's story April may discover her own. This debut novel has two fabulous female characters both troubled by love and looking for a true heart. Dennis Lehane is the author of ‘Shutter Island’ and ‘Mystic River’. The Drop was written as a short story and originally published as ‘Animal Rescue’. It has since been made into a major motion picture starring Tom Hardy. The ‘drop’ refers to the money-drops in the underworld of Boston bars, where Bob Saginowski is a bartender. It is not a long read, but is a great piece of crime writing. 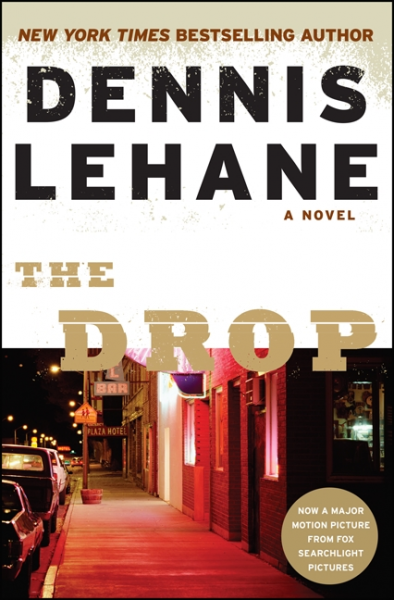 After reading The Drop, I went on to read Lehane’s ‘Moonlight Mile’ and thoroughly enjoyed both books. Are you fascinated by odd facts and bits of history? Such as: Who was the only modern leader to return fire during an assassination attempt? Why is kissing on trains banned in France? What was the first song to be sung in Outer Space? Where was the Land of Hum? John Oldale's Who, or Why, or Which, or What? is a cornucopia of history, travel, politics, wildlife, language - indeed, a celebration of everything which makes this planet so fascinating. With an entry for every country in alphabetical order, including ratings for liveability, from the impenetrably immense (China) to the most completely marginal (San Marino, although it has stiff competition), this beautifully illustrated book is jammed with the most peculiar, fascinating and surprising information. If you are fascinated by trivia for its own sake, this is the book for you. Warning: Some geo-political information will be out of date.